#StayWild Tip: Discover a wildflower. Take notes and photographs, then search in a book or online. After a few rainy, gray days it was super to see the sun shining again today, even if it was only for the evening. I made the most of the warmth and went for a wander around my regular patch at Ardmore. The circular coastal path is always great fun, offering something new on almost every visit. 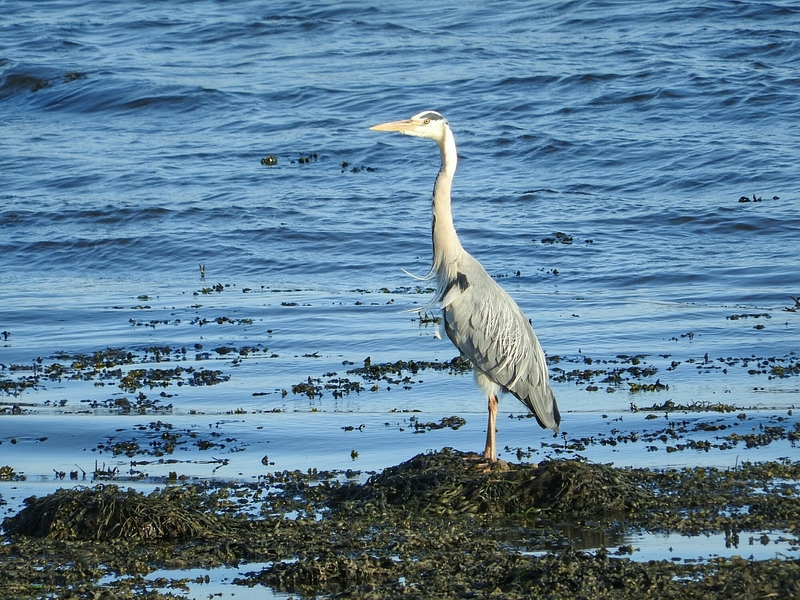 Some things, however, are extremely predictable and you are almost guaranteed to see a heron or two. This one was hunched like an old man, feathers ruffling in the warm breeze, and when it spotted me it stood bolt upright. Further ahead I could see a raptor soaring on the winds, head down-turned and quartering for prey. 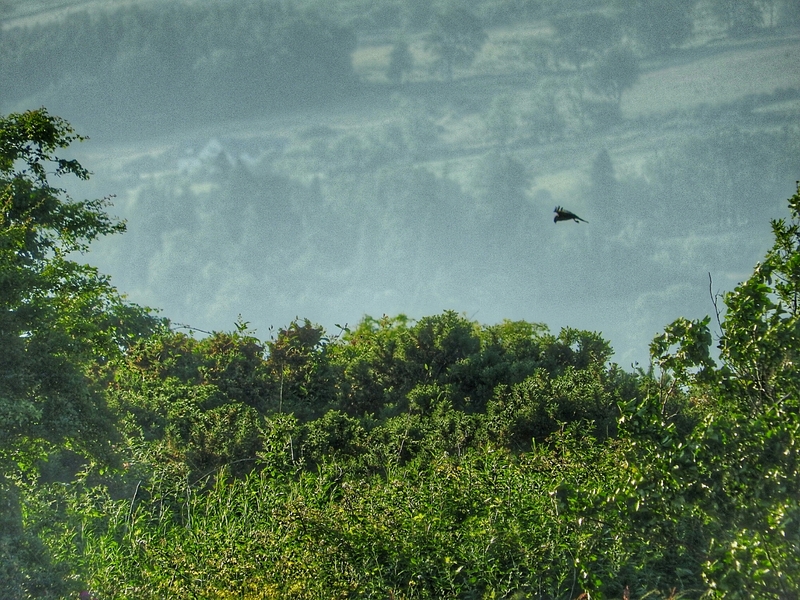 I was quite sure it was a buzzard, but it sometimes hovered like a kestrel. 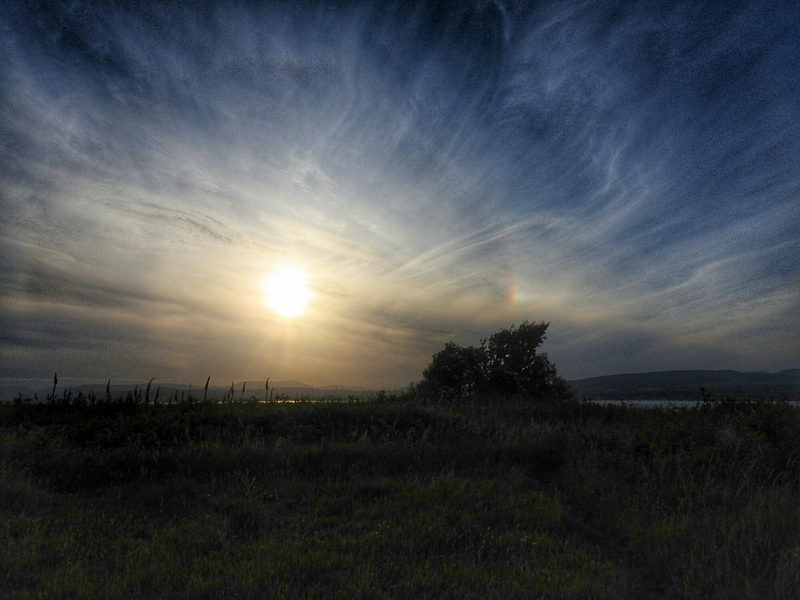 After a while the winds carried it beyond the treeline. It reappeared, briefly, almost directly overhead a little further on, and I was able to confirm it was a buzzard. Back on the water, there are still a lot of ducks to be seen including eider, shelduck and red-breasted merganser. 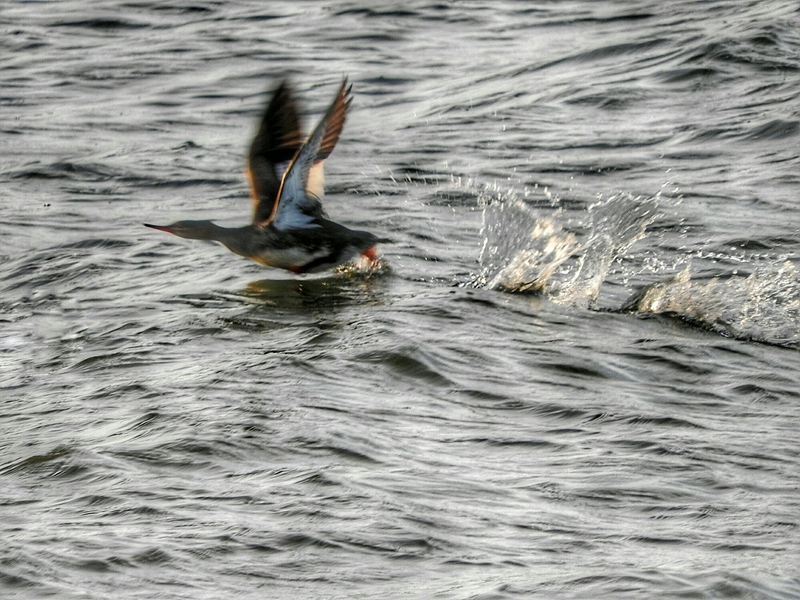 The merganser are fun to watch: they drive regulsrly, and often pop back up where you are not expecting them. 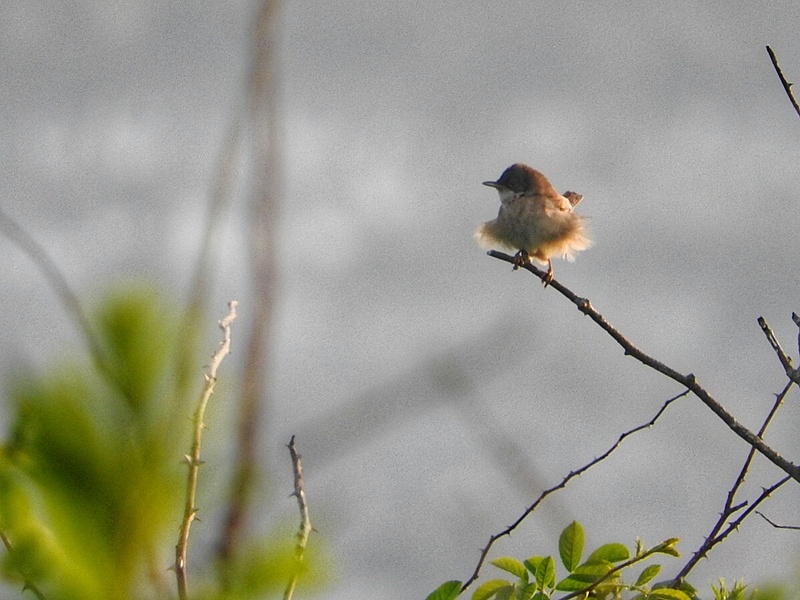 On land, there seem to be whitethroats everywhere, including juveniles. It never ceases to amaze me that in just a few months these little birds – and many others – will leave on epic migratory flights. Whitethroats fly through France, Spain and Portugal, before finishing in Africa. The purple and yellow theme that Ardmore often wears continues, with more and different wildflowers emerging. 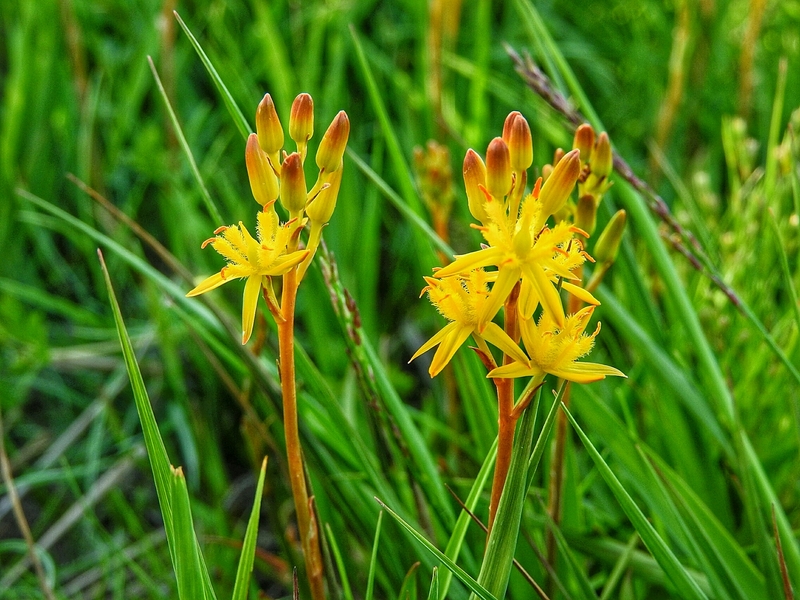 Bog Asphodel joins the gorse, broom and kidney vetch with its cheerful yellow and orange. The plant was historically used in place of saffron to produce a dye used in wool and cloth. Orchids are also springing up everywhere you look. 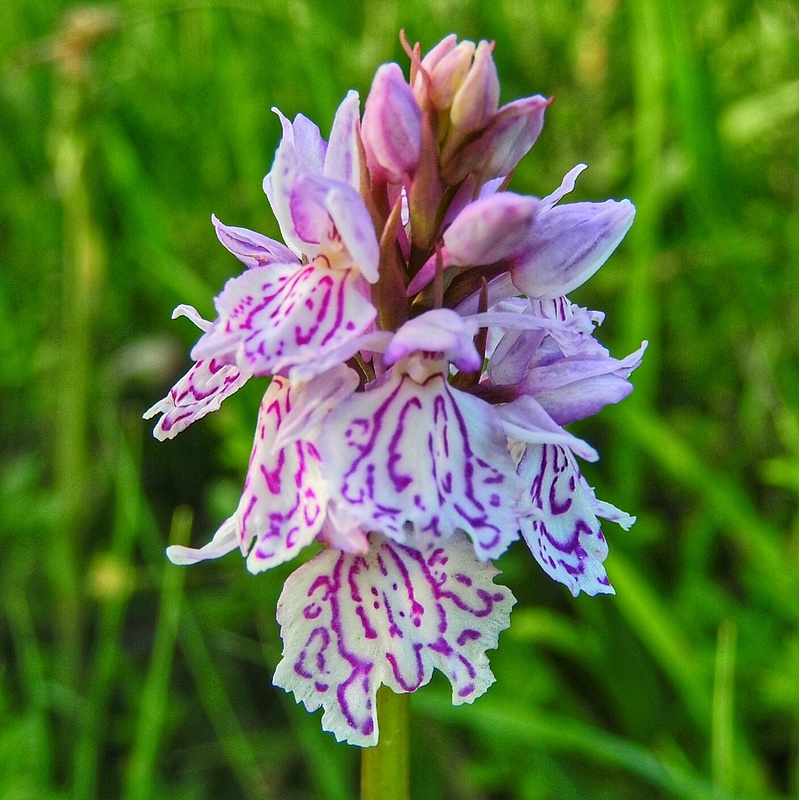 I especially like these heath spotted-orchids. They look like something you could buy in a sweet-shop, with their candy-like petals and purple tracings. 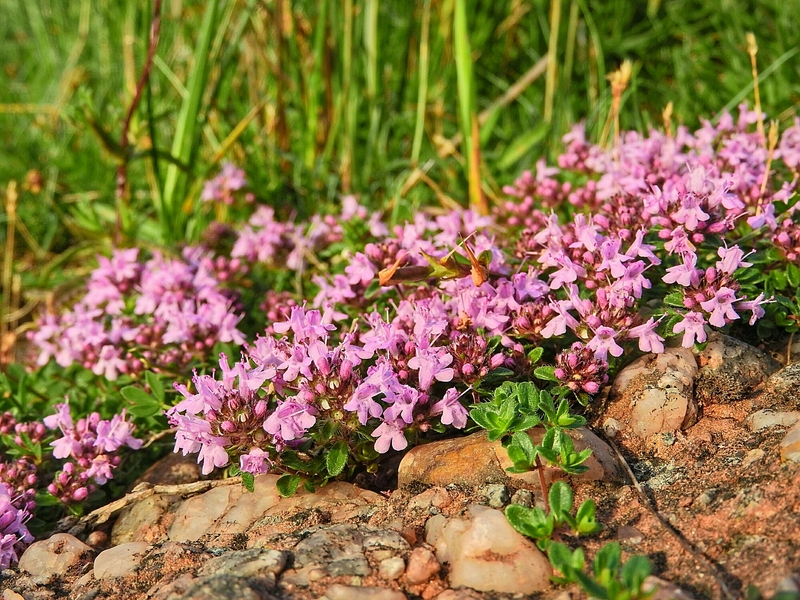 Wild thyme spreads tiny flowers across the shingle, on fragrant creepers near the shore. 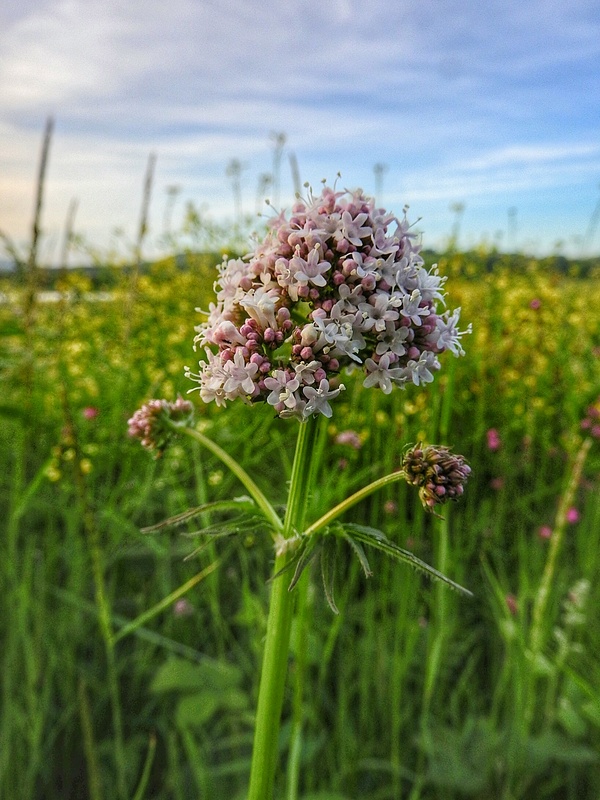 The last of the new flowers to pop up is Valerian, which stands on tall stems amid the surrounding grasses. Valerian extracts are still used as sleep aids in place of sedatives.